Fill, define and enhance your brows with the L'Oréal Paris Unbelieva'brow Long-Lasting Brow Gel, a 2-in-1 brow gel and tint that creates the appearance of fuller brows. 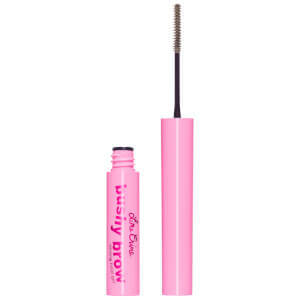 Long-wearing and waterproof, it provides up to 24 hours of ultra-resistant wear without smudging or transferring. Easy to apply and remove, it features a micro-angled brush which allows you to fill in sparse areas for natural-looking volume or a bold, brazen brow effect. Ultra-fast drying, the brow gel sets in 90 seconds and will leave your arches looking strong and flawless. Available in a range of shades to suit every colour of eyebrow hair, from light blonde to brunette and ebony. Step 1. Fill brows with the long-lasting gel formula in your chosen shade. Step 2. Precisely define brows with the micro-angled brush to create your desired brow look from natural volume to a bolder brow look. Step 3. Set brows in place with the spoolie brush and leave for 90 seconds. Step 2: Use the angled brush to outline and define your brow shape. For a more subtle brow look, use the micro-angled brow brush to create hair-like strokes. Aqua / Water, Isododecane, Trimethylsiloxysilicate, Polymethylsilsesquioxane, Peg-10 Dimethicone, Butylene Glycol, Silica, Disteardimonium Hectorite, Peg-30 Dipolyhydroxystearate, Glycerin, Lauryl Peg-9 Polydimethylsiloxyethyl Dimethicone, Phenoxyethanol, Caprylyl Glycol, Triethoxycaprylylsilane, Glyceryl Polyacrylate, Ethylhexylglycerin, Polyhydroxystearic Acid, Sorbic Acid, Galactoarabinan, Tocopheryl Acetate, Tocopherol, [+/- May Contain, Ci 77491, Ci 77492, Ci 77499 / Iron Oxides, Ci 77891 / Titanium Dioxide.